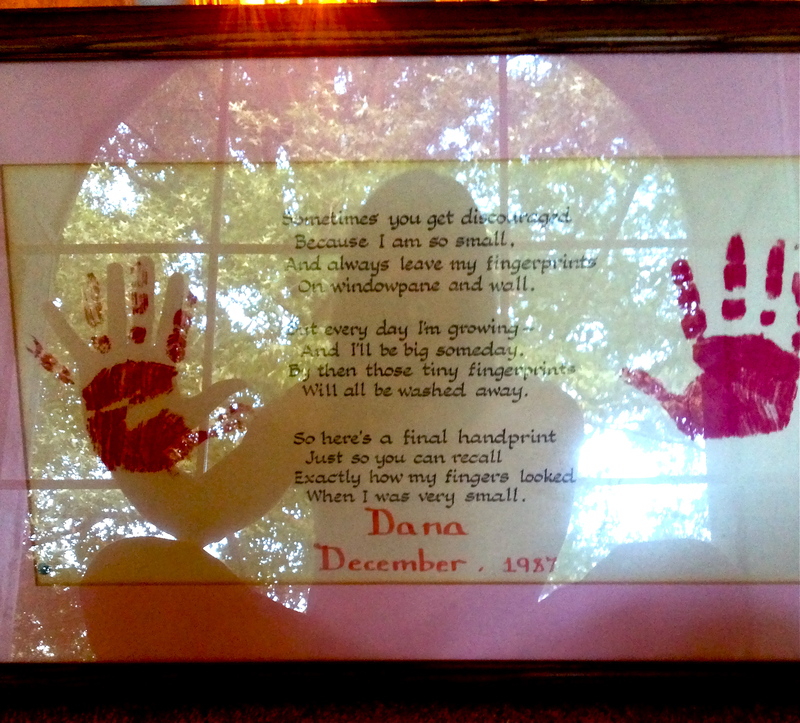 In my childhood bedroom there is a framed picture of my handprints from when I was little. Growing up, they hung ceremoniously above my bed, the clear focal point among the gaggle of teddy bears, troll dolls and Lisa Frank unicorns. While I don’t remember making the red-inked imprint, I do remember the daily game I’d play with them. Each night I would lean against the wall, reach up, press my hands against the smooth glass, and make note of how much larger, how much more “grown-up,” my hands were compared to the tiny girl that had made them. I loved those handprints. As a kid who was seldom aware of anything beyond the present moment, it was nice having that connection to the past. When a single bad day seemed to drag on forever, or I feared I would be stuck in the world of adolescent angst for eternity, I could hold my hands up to the glass and be reassured that time does pass, people do grow up. As an adult, and especially as a mother, I have become acutely aware of how fleeting all things in life are. Time can’t slow down enough, and I often find myself wishing I had a pause button for life. 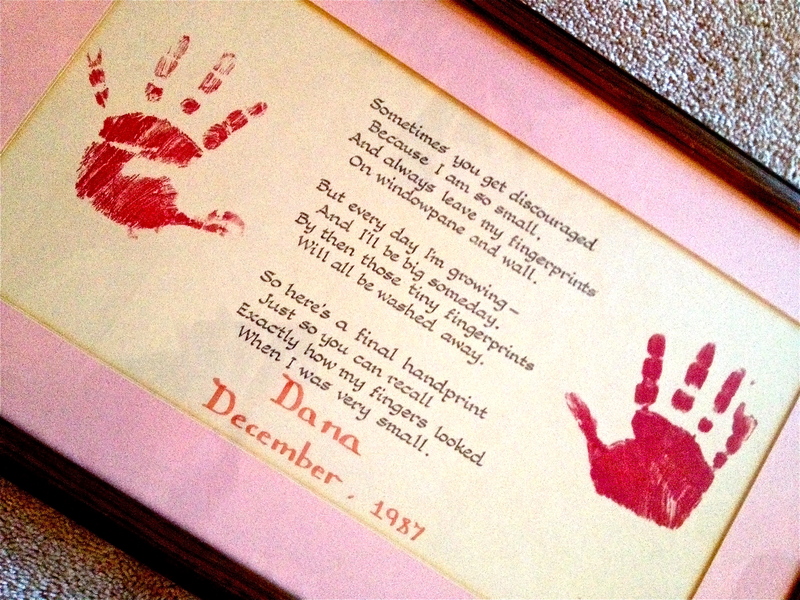 Like my handprints that have remained eternally young, I wish I could take my son’s babyhood and frame it for safe keeping. His baby-tooth smile, his high-pitched laughter, his blonde ringlets, his chubby thighs and pigeon-toed walk. I want to preserve them all so that years from now I can look back and not only remember them but have something tangible to see, to touch. Something to press my hand against and compare. 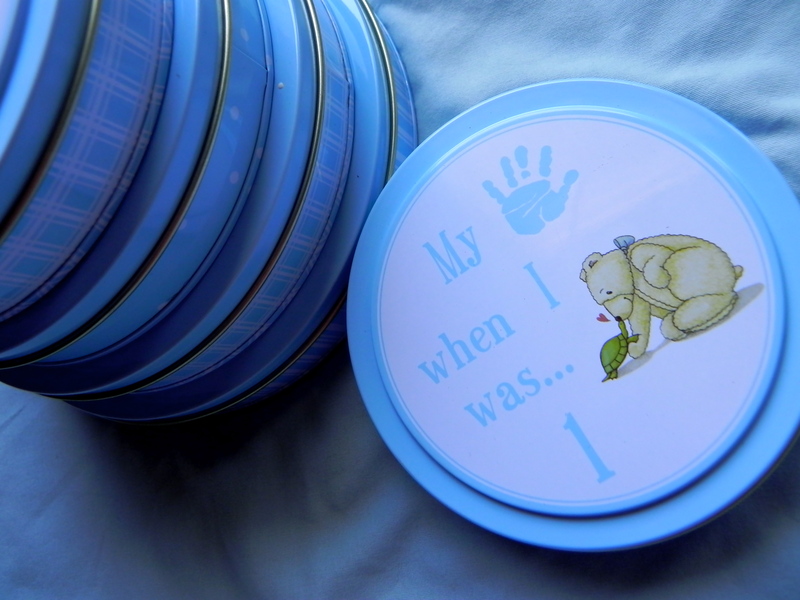 When Oliver was born we received a gift that lets you make a yearly handprint of your child through the age of five. When Oliver’s first Birthday rolled around I eagerly pulled out the kit and got to work making the pasty concoction. 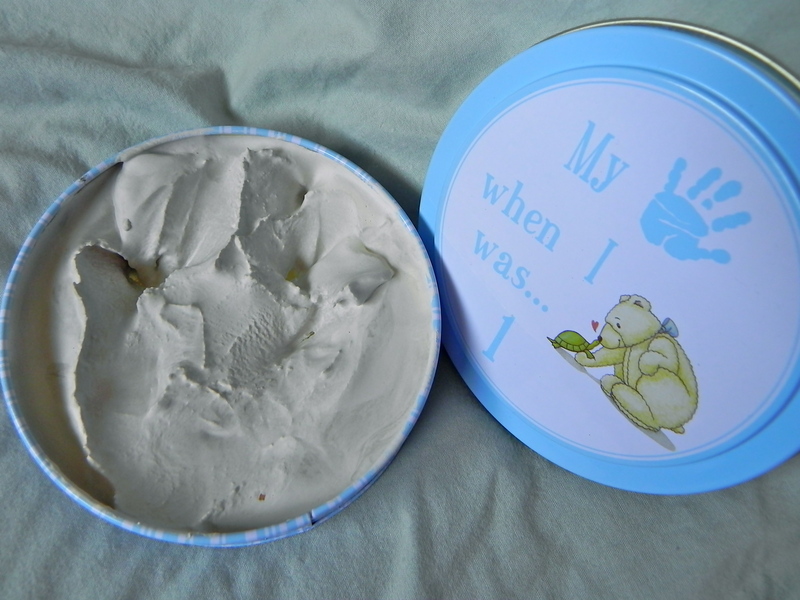 According to the directions I mix the water and plaster, poor it into the provided tin, firmly press my child’s hand into the mixture, and then let it dry. Easy peasy. Right? Nowhere in the directions does it say what to do if your child won’t straighten his hand in the plaster. What to do if he tries to scoop up a handful and squish it between his fingers. What to do if he tries to eat it. Or what to do if, upon finding it tastes awful, he flings it across the kitchen. After several attempts, this is the best we could do. At first I was disappointed that I wouldn’t have the perfect imprint to remind me of his 1 year old hands. I was disappointed a year from now I wouldn’t be able to hold up his two year old hand in comparison. But sitting here now looking at this “handprint,” I’m starting to see all the things it will remind me of, all the secrets it will hold, that a normal, standard handprint never could. It says, this is the handprint of an active boy. A boy who loves to touch, to explore, and to dig into his surroundings. One who isn’t happy sitting still waiting for life to come to him. It is the handprint of a curious boy. Of one who is always questioning, always learning, always dreaming, and discovering. It is the handprint of a boy who is tenacious and strong-willed. A boy who knows what he wants and won’t easily back down. It is the handprint of a playful, free-spirited, silly boy, who doesn’t need directions to tell him how to have fun. So while you may just see a mess of plaster sitting in a tin, a tenuous outline of a hand at best, when I look at it, I see so much more. 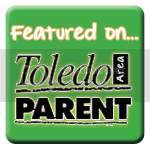 Have you tried making a handprint of your child? How did it turn out? Hahah, this reminds me so much of me trying to do Rio’s footprints. I expected hi to just dip his feet in the paint and walk nicely along the paper leaving perfect footprints…I was sooo wrong..it looks so messy! I think your version holds more memories though..i can imagine smiling everytime I saw that! – the little lady with a baby! I hadn’t even thought of trying to do footprints. Bring on the mess! Someone recommended doing it while he is sleeping next time, which I think I might try.